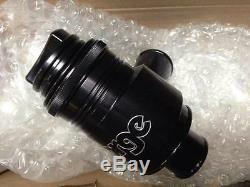 Forge RS Recirculating Valve for Mitsubishi Colt CZT Ralliart & CZC turbo - FMDVRSR. Still the best Dump valve available for the Mitsubishi Colts, No limp mode once set up. We have used this valve for 10 years on the colts and it out performs all others. We use this Valve on our own 285bhp Colt CZT. If you need any advice for your colt please give us a call. We modify and remap Mitsubishi colts using Ecutek Software. Check us out on facebook and Instagram. If you are new to the Mitsubishi Colt please check out CZTOC owners club on facebook. 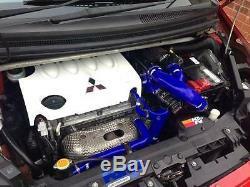 Compatible Vehicles: Mitsubishi Colt CZT, Ralliart & CZC Turbo Mitsubishi Evo 4 / 5/ 6 / 7 / 8 / 9 / 10. The Forge RS valve has been specifically designed and engineered, to offer extreme flow rate capability, where other valves are just not up to it. Often when engines have been tuned by installing larger turbos or even software upgrades improved turbo response can be acheived by fitting the RS valve which has the greater internal mass air flow specification utilising an amazing 50mm (2) bore. For fine tuning there is a variable spring preload incorporated and a ratchet type top adjuster that will allow for the positive and precise adjustment that your driving style demands. 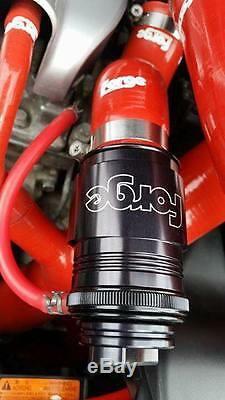 A 360 degree adjustable vacuum hose connector. With a choice of inlet and outlet connections the RS valve can be matched to your engine perfectly. This valve incorporates a unique conical, progressive rate spring that can allow for the retention of boost pressure from 7 to 22 PSI depending on the individual user's application and level of adjustment. If you are intending on running over 22psi then you will need the uprated spring, which is included in the kit. This unique spring design will also allow for unrestricted piston travel and flow volume regardless of the amount of pre-load adjustment added to the spring. Other manufacturers valves using cylindrical springs with adjustable pre-load often experience restricted piston travel and flow volume within the normal range of valve adjustment. When purchasing, please include your choice of options as a note on your order from the list below. In The Box: 1 x FMDVRSR Valve 1 x Uprated RS Spring 1 x Instructions 1 x Forge Sticker. About Forge Motorsport Forge Motorsport was founded in 1994 with the simple ideals of innovation, clever design, and manufacturing to the highest quality. Their mantra is the BEST customer care and after service worldwide. In doing this they have developed the largest range of replacement aftermarket blow off / recirculation valves, intercoolers and actuators in the world. 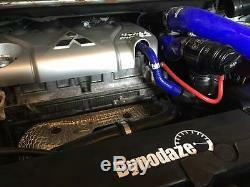 Dynodaze Performance Parts Ltd Specialises in aftermarket parts and remapping. We have an experienced mechanic and fabricator ready to fit any and all parts required. Additional to this we can fit parts to get your vehicle ready for remapping. The item "Forge RS Dump Valve for Mitsubishi Colt CZT Ralliart and CZC Turbo FMDVRSR" is in sale since Sunday, June 11, 2017. This item is in the category "Vehicle Parts & Accessories\Car Parts\Exhausts & Exhaust Parts\Other Exhaust Parts". The seller is "dynodazeparts" and is located in Nuneaton, Warwickshire. This item can be shipped to United Kingdom.